Airline pilot Jim Trott raised funds to have them shipped to Uganda after seeing the circumstances of children while there for work, and what started as a way to save the instruments from the scrap heap turned into a story of hope and transformation. Trott placed the trumpets in an orphanage called The Good Shepherd Home, with the tutelage of music given to Ugandan local Bosco Segawa and his organisation M-Lisada – and so he thought his work was complete. However, he continued to visit the home regularly, and was amazed to find overall improvement in the children learning music. He said that they had discovered self-confidence and pride within themselves and found that playing in their brass band together had become the most important thing in their lives. This was when Trott realised that he needed to find a way to sustain this musical intervention and share this opportunity with more children. And so the charity organisation Brass for Africa officially began. 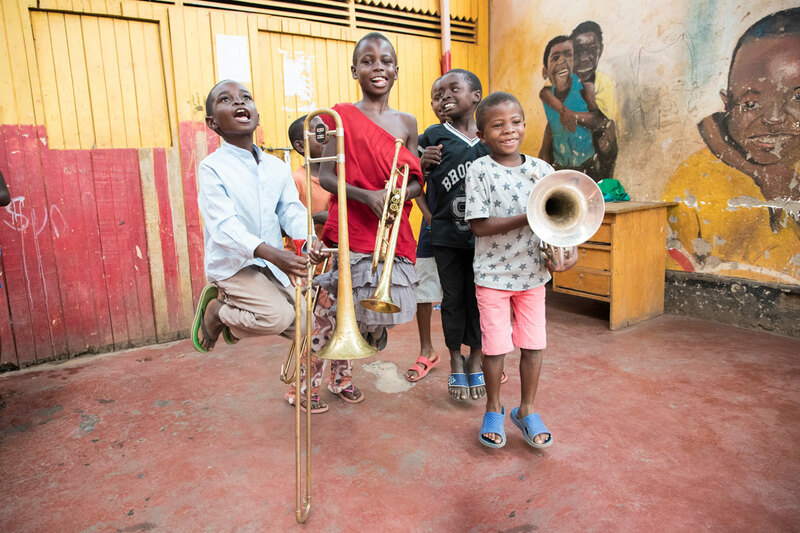 Today, almost 10 years later, the charity has delivered 800 brass instruments to both Uganda and Liberia and reaches over 1000 children weekly. But what is behind these numbers? The children involved include those living in extreme poverty (living either as street children or in a slum), as well as children living in orphanages and rehabilitation centres, living with physical or mental disability, or coping with HIV/AIDS. These children each have two training sessions a week, which include music theory, and are periodically recorded so as to let them hear their improvement along the way. The bands each have at least three performances a year, which not only serve as goals for the children to work towards, but also allow for them to show the local communities their growth and talent. 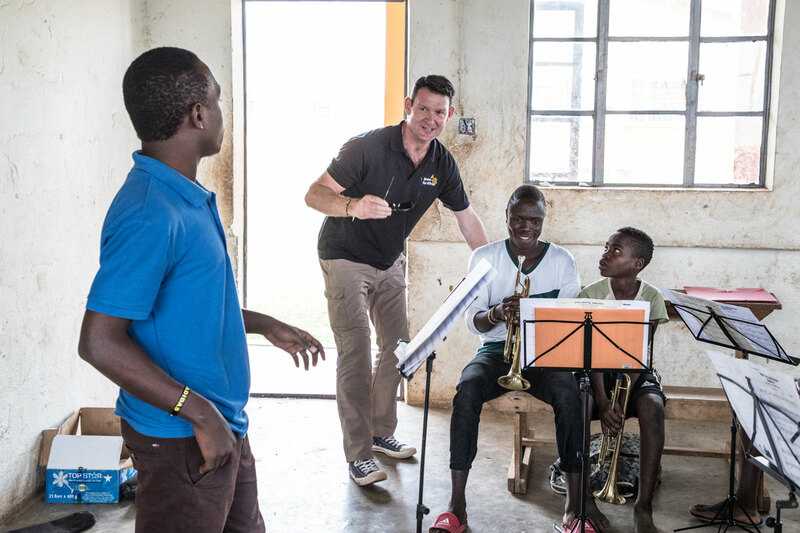 Trott emphasises that this is not ‘just about giving a child in Africa a trumpet’, and therefore, the music lessons are supplemented with a life skills programme tailored to the experiences of these Ugandan children. The emotional support and practical skills taught in this way aim to help the participants to reach their own goals in the long term. This holistic viewpoint is reflected in one of the most distinctive aspects of this charity: the teachers of the programme were once students of Brass for Africa, having come through the programmes themselves. This ensures that they understand the challenges faced by the participants and also creates a sustainable cycle in which the culture is not forced to adapt to a Western influence. There are currently 18 of these young teachers, all of whom, in addition to their salary, have access to a monthly professional and personal development workshop, regular training sessions, and a comprehensive healthcare insurance plan. 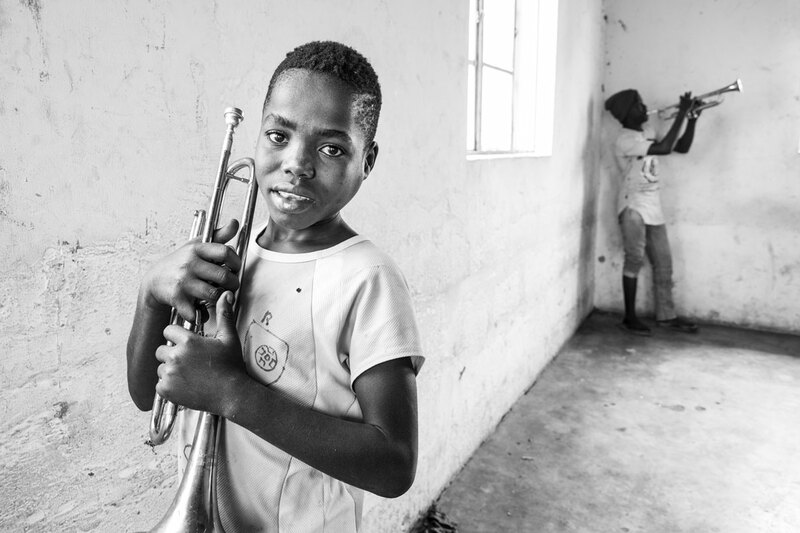 Brass for Africa recently introduced a custom-made monitoring and evaluation system to measure the impact of its work on eight key attributes associated with learning music. These are self-confidence, resilience, leadership skills, problem-solving, grit and perseverance, concentration, teamwork, and communication. The improvements in these areas that access to music has afforded the children in the programmes are significant. The project’s vision has attracted two internationally-acclaimed trumpeters, Alison Balsom and Guy Barker, who serve as ambassadors and patrons. 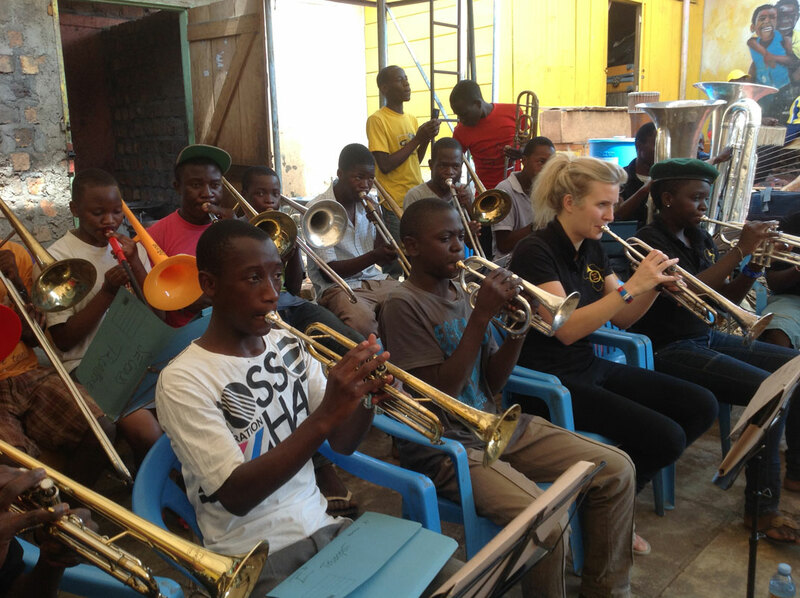 In 2014, Balsom and Barker went to Kampala, Uganda, and played in the different bands with the children, making music together and experiencing first-hand what had drawn them to the charity in the first place. ‘There were hundreds of young people that I met, and for all of them, this was the highlight, the focus, and the safety net of their day. They had this band rehearsal to look forward to, which they take really seriously, and are very proud of. That was fabulous to behold.’ Many of the children told Balsom that playing in the band gave them a valuable escape from the stresses and challenges of their daily lives. 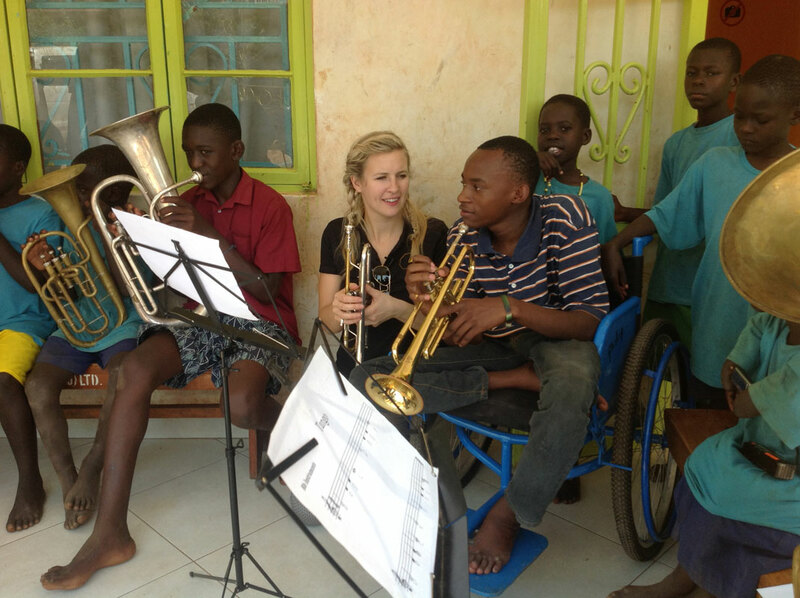 Balsom has, with her husband Sam Mendes, made a huge contribution to the organisation through the Alison Balsom Fellowship, which has enabled Brass for Africa to appoint a Director of Music Education to be based in Uganda temporarily, for one to two years. 29-year-old Oxford graduate Lizzie Burrowes has been involved with the charity as a volunteer who travelled to Uganda, as a music education advisor, by running a year-long fundraising campaign for donations in Reading at the school she taught at, and more recently, as a member of the Board of Trustees. With experience, she has won the fellowship position, and will start in September this year. Burrowes will be mentoring the 18 young teachers in the programme, as well as Ronald Kabuye, who has been promoted from teacher to Assistant Director of Music Education. She will also be conducting the teachers’ band, finding more performance opportunities for this band, and overseeing the partnerships that Brass for Africa has with charities and organisations in Uganda. Her support and presence should help the teachers to deliver the music and life skills lessons, which will ultimately have an impact on each child in the programme. Burrowes feels that Brass for Africa has moved away from old-fashioned, colonialist models of cultural education. 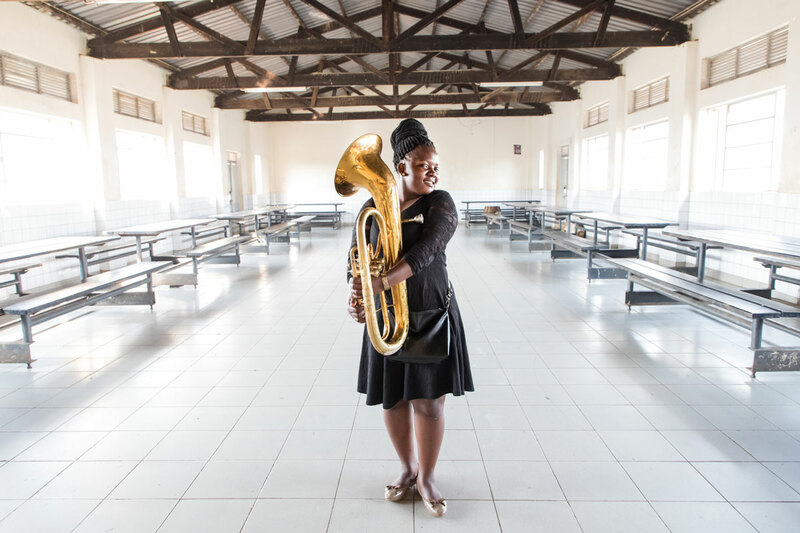 ‘Brass for Africa is about empowerment,’ she says. ‘It’s not about people coming in to save other people. The key message there is that people are empowered with skills to then live their lives as they choose, so we can be a part of nurturing those skills and helping them to develop in that way.’ Burrowes makes the point that there was never an intention to start a charity. Rather, Trott and everyone else involved as part of the team, including her and Balsom, found it impossible to turn down a chance to participate, so that Brass for Africa moved towards charity status in an organic way. 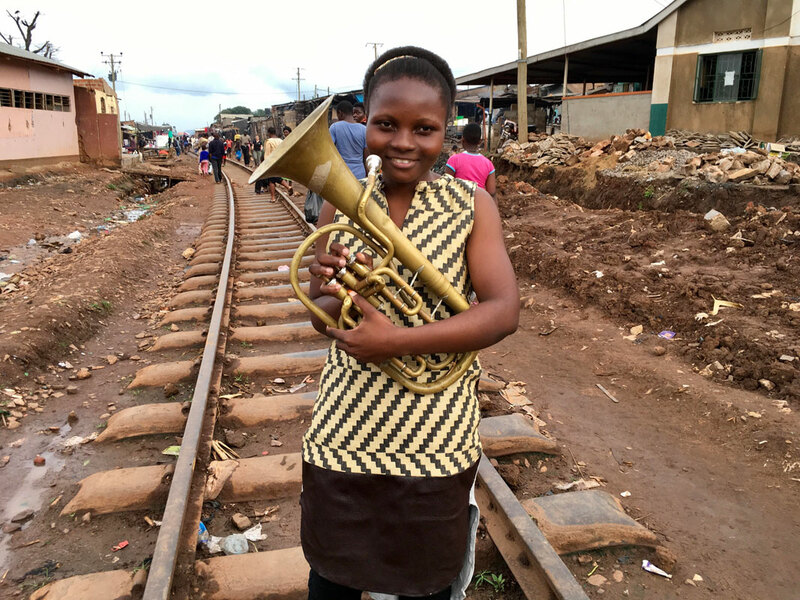 From gender equality to music, and from life skills to career opportunities, Brass for Africa has been both far-reaching and thorough, while never losing sight of the true interests of the children whose lives they seek to benefit. In bringing continents and communities closer together through access to music, they have made an impact on the individual story of each and every child who has been through one of their programmes, and, as with their brass ensembles, the end result is even greater than the sum of its parts.